* Five-year warranty.Durable heavy-duty construction with a pistol grip handle for maximum comfort during use. 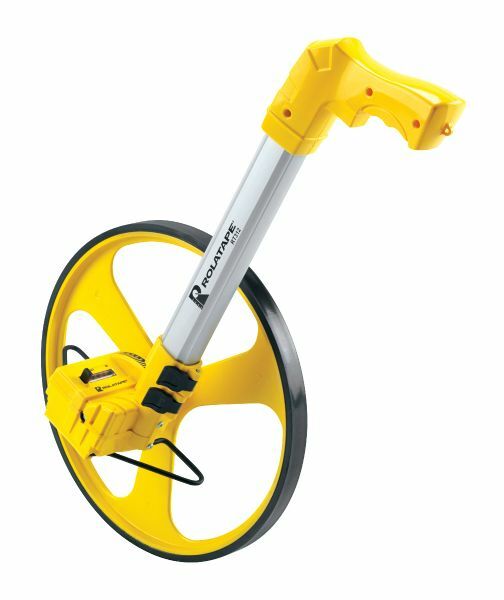 * Lightweight aluminum measuring wheel with precision molded tire. * Completely sealed counter records in feet and inches up to 10000 feet without resetting. 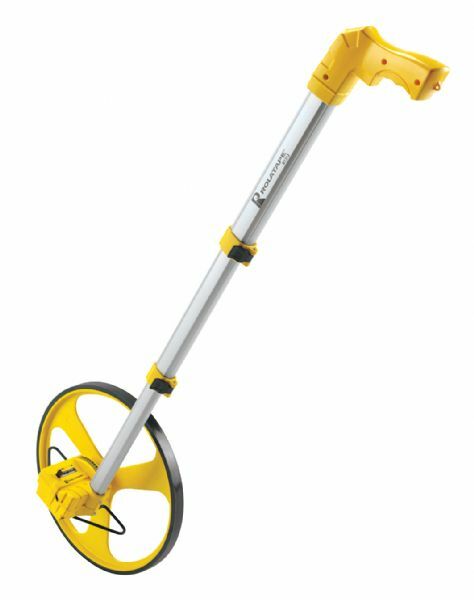 * Collapsible telescopic aluminum handle for easy storage. * Features accurate long run measuring for indoor and outdoor jobs. * Collapsed unit measures 24" and extends to 42½" for operation. * Weighs 5 lbs. Three-year warranty. 22.5" x 14" x 3.5"